I love coloring, ever have since I was little. My husband being an artist means that I have a wide variety of media to play with; markers, paints, inks and all of my crafting goodies. Armed with all of these at my disposal I still don't have a lot to color or practice with. 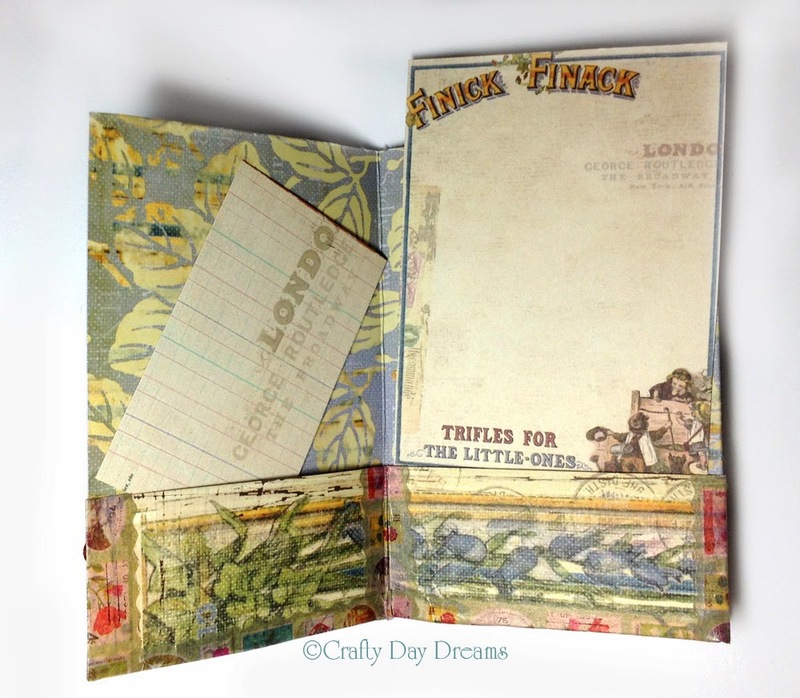 I recently found, and I do not quite remember how, Make it Colourful coloring challenge from Make it Crafty. Each month they have a new coloring challenge. I found this to close to the end of the last challenge so I figured I would wait. Well this months challenge was just that a BIG challenge. Browns. Easy right...not so much. They have two different challenges with in the theme, Easy and Hard. Easy challenge is to incorporate brown into your image. Hard challenge all brown, no other colors allowed. Well I just could not resit that challenge, use nothing but brown on a picture. I've never colored a picture before in monochrome. It was a lot harder than I thought it would be. I set off to decide on my image. Rule is that one image must be from Make it Crafty. It took me forever to decide just what image from them to pick. All of the images are wonderful and detailed. I ended up deciding on something that I could frame and put in my kids hang out room if it came out good once I colored it. 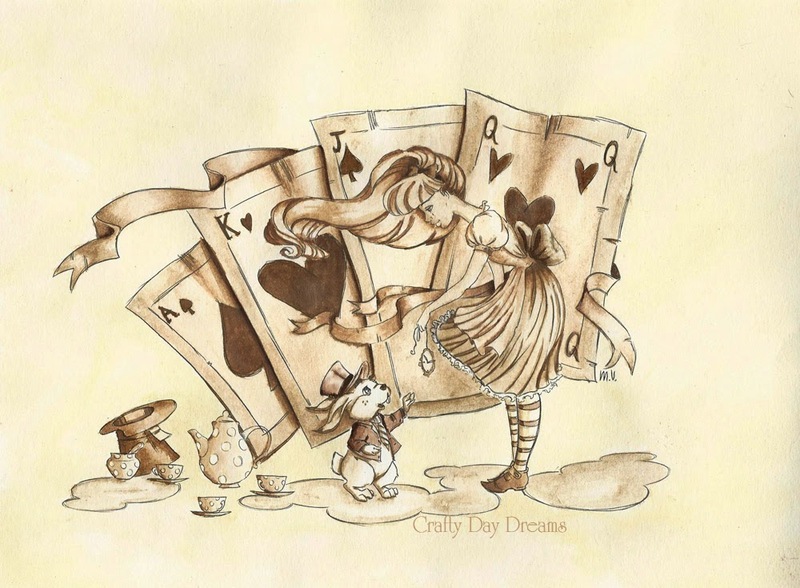 So the image I chose was their "Alice with Cards Digi Stamp". All done in brown watercolor and inks. Derwent watercolor pencils - Bronze and Raw Umber. I think I've mentioned before that over the Christmas season Prima Marketing ran a wonderful warehouse box sale. 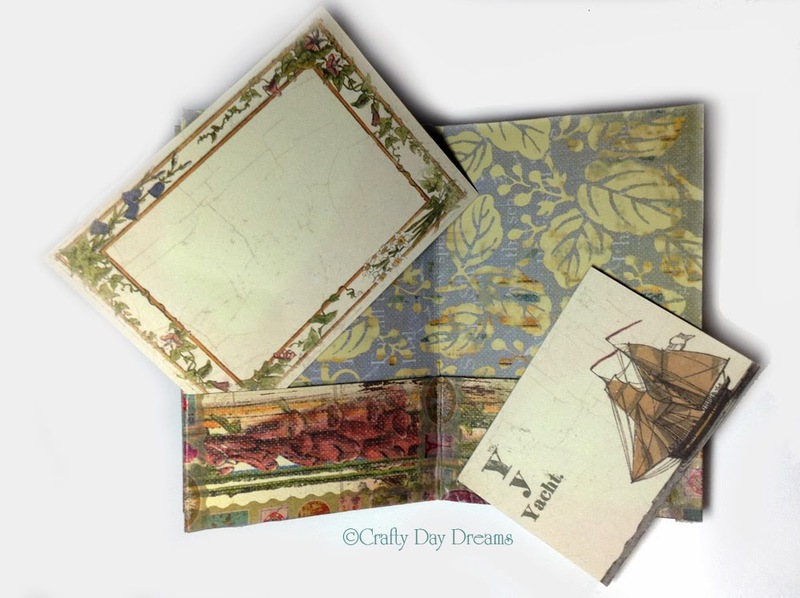 I picked up a couple of them and discovered my love of their products, thick papers, cute embellishments, and lovely flowers. There are 8 pockets in total. 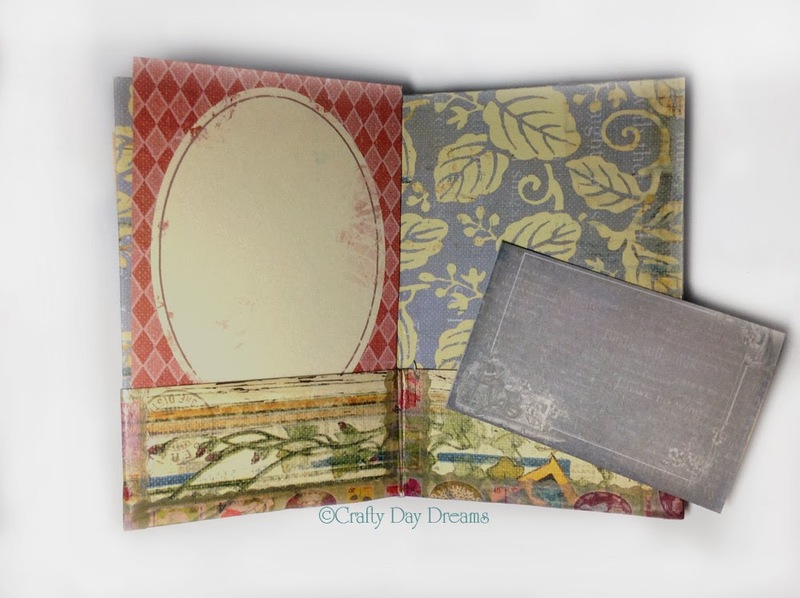 Each pocket has a tag, frame, note card or other piece of paper to journal on. 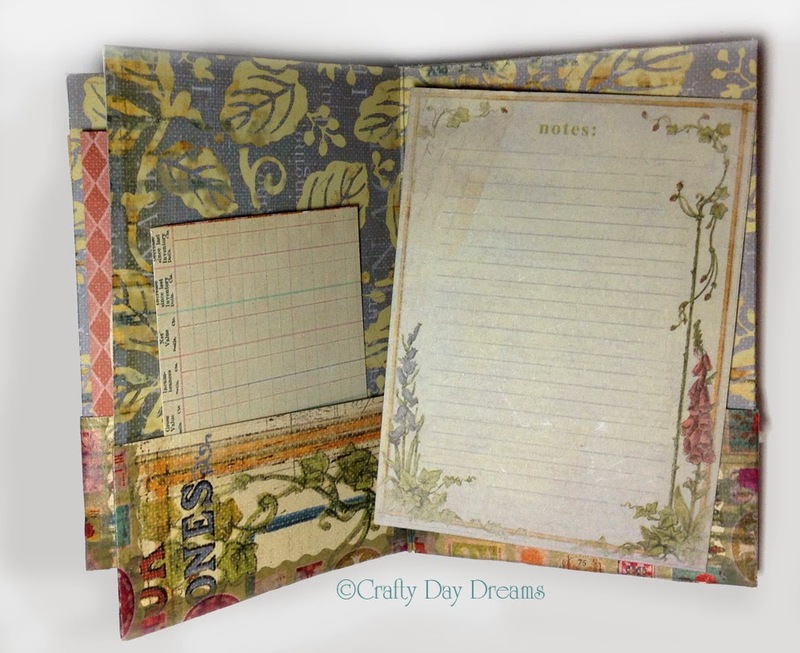 Add pictures to these cute pages and pockets to customize it. 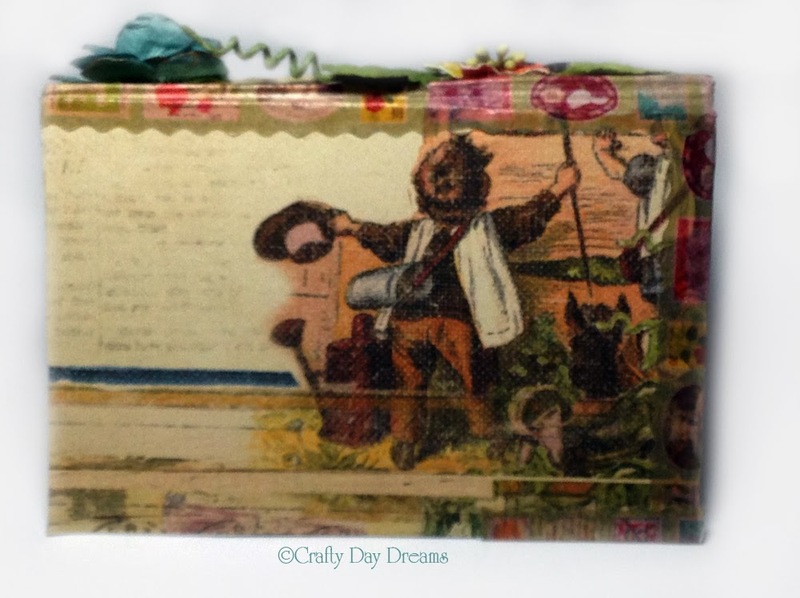 The front embellishments are from a variety of sets. The orange, yellow and black flower, along with the leaves and vine are from "Gracie Vine Doodle-Deux" #555825. The blue rose with the gold tipped petals is "Coventry Rose Romantique" #553302. The large brown flow is form the "Brown Floral Embellishments" #713546. 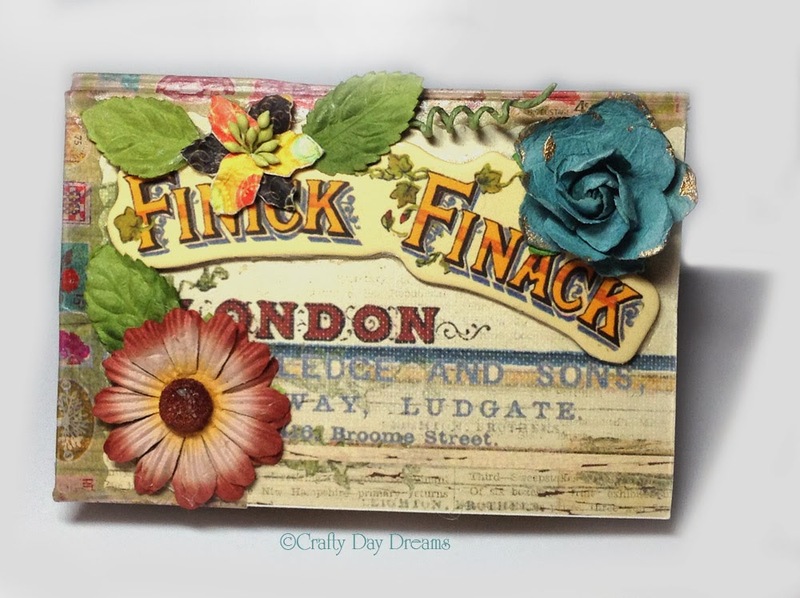 In the middle of it all is the Finick Finack "Londondary Chipboard Sticker" #551230. To help finish off the edges of the pockets, the seams of the pages and the spine of the book, I used a Nami Nami tape from Jet Pens.